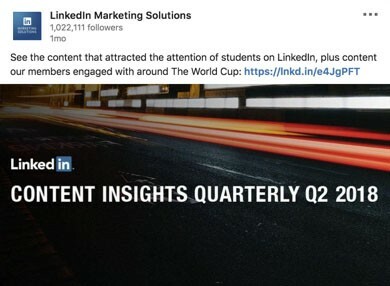 There are over 30 million Pages on LinkedIn. 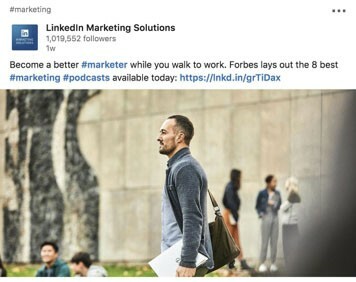 If yours isn’t one of them, you’re missing opportunities to get your content in front of the audience that matters most to your business. Plain and simple. 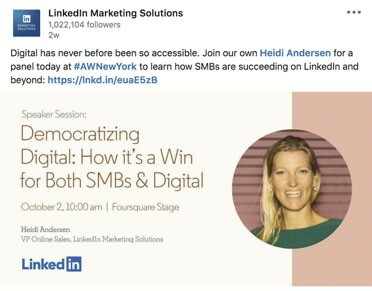 If you’re just getting started with your Page, or are a content powerhouse team of 1, you might not feel like you have enough content to post 3-4 times a day, but the truth is you likely have the content sitting right in front of you - it’s on your company website, your blog, third party articles and more! Different posts clearly have different objectives. If your goal is lead generation your update may link to a landing page for a gated eBook or whitepaper. 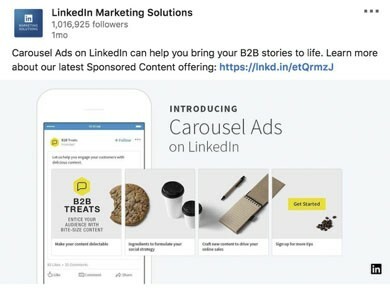 If your goal is brand awareness your post might link to your company website or perhaps you’ll share a blog post announcing a new product or feature enhancement. 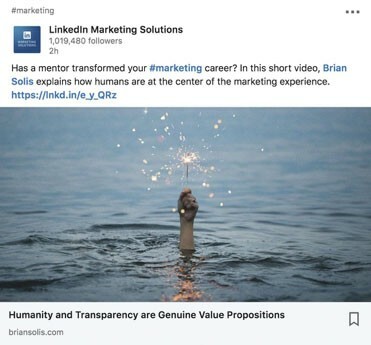 If it’s a thought leadership play you might share an article your CMO published on the LinkedIn platform. 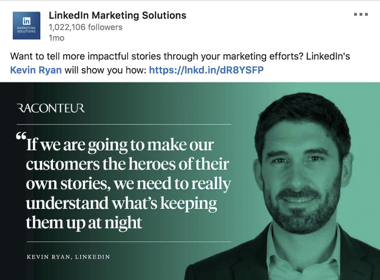 In a TL;DR world where there is actually way too much content and not enough effective content, here are a couple of ideas - from our team to yours - to help inspire you to publish more effective posts on your LinkedIn Page and grow your following. Video is 5x more likely than other types of content to start a conversation among members. 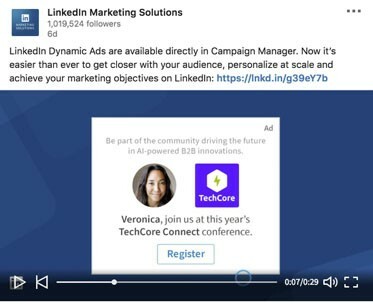 LinkedIn members spend almost 3x more time watching video ads compared to time spent with static Sponsored Content. 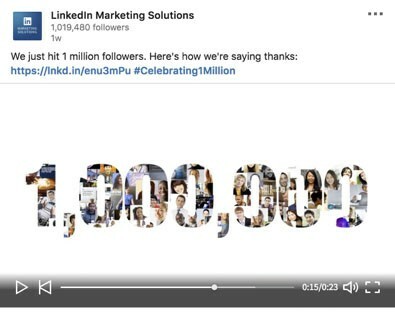 If you hadn’t heard, LinkedIn just went all in on video. 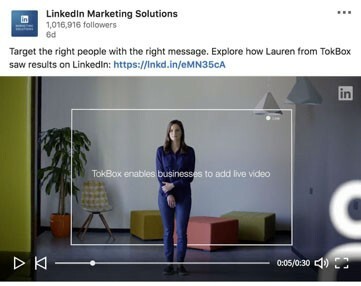 Here are two (of many) ways our team has incorporated video into our LinkedIn Page content strategy. 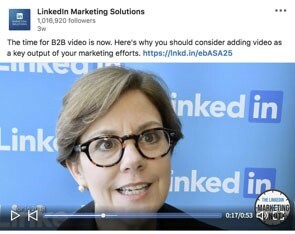 LinkedIn Marketing Minute is series of videos aimed at providing actionable advice to marketers like us. 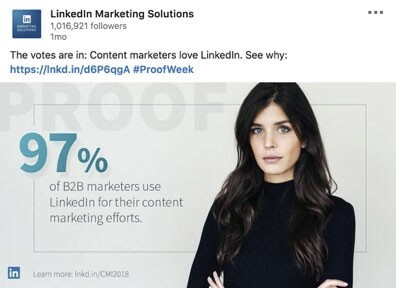 Including influencers, like Ann Handley below, increases credibility and will likely increase reach as they will likely share it with their networks. It’s a video. It’s a case study. It’s a 30 second video promoting a case study! Short, sweet and engaging. People love stats and sharing things that make them appear more knowledgeable. We take 'stand out' stats from case studies and external research/surveys and showcase them with social tiles as part of larger campaigns. Keep your audience up to date on the latest and greatest of your products or services. Then take the next step and share best practices on how to use them. 4. Celebrating company wins and milestones. Give an inside look at your company’s mission and vision. Don’t be shy to celebrate company wins and show gratitude to followers and customers for helping you achieve your goals. People buy from people, not companies. 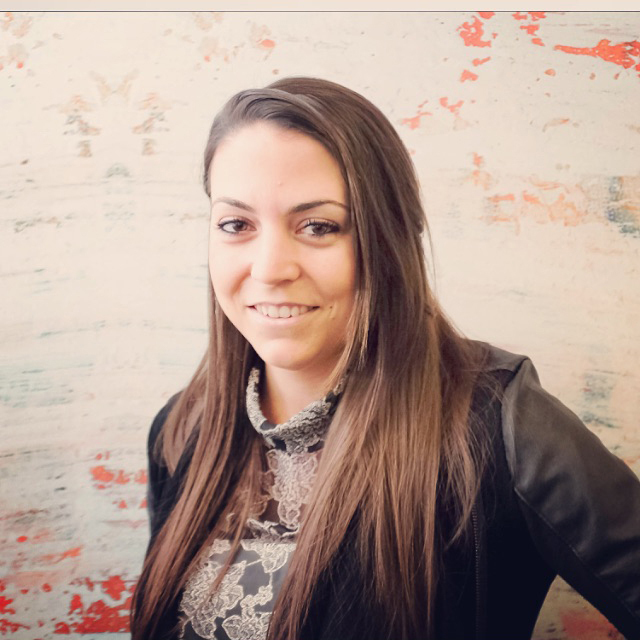 Humanize your brand and give your audience the opportunity to take a peek inside your company culture while simultaneously highlighting your best employees as thought leaders. 6. Drive registration for events your company is hosting or sponsoring. Our Showcase Page consistently drives high registration numbers for our webcasts and our (award-winning!) 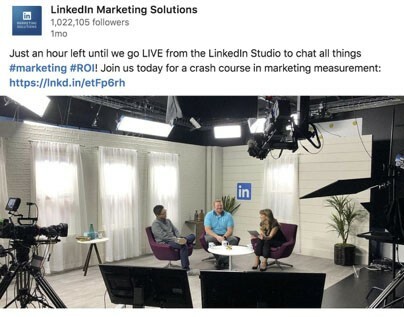 Live with Marketers episodes. 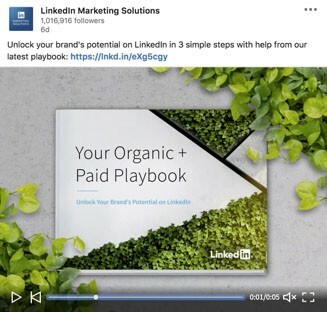 When we launch an eBook, we typically create 4-5 images and videos featuring the eBook cover, stats, quotes and tips taken from the content to extend the campaign shelflife. No one likes hang with the person at the party who’s talking about themselves the whole time. Insider tip: Don’t forget to add hashtags to your content to be found with other relevant trending topics. 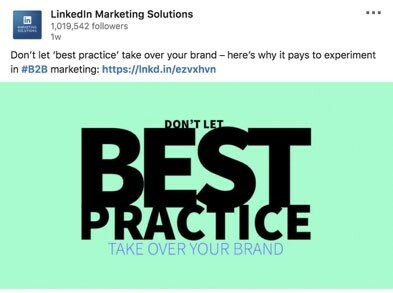 Not every post has to be about your business or product. You can build thought leadership and authority in your space by taking a spicy point of view on a timely or controversial topic. Original research and insights tend to knock it out of the park.